“What good can the past do the living? What harm?” Growing up in their family’s ancestral home in Wales, Jonathan Anthony and his little sister, Theo, are inseparable. Together they explore the wild acres of Evendon, inventing magical worlds and buttressing each other against the loneliness of life with their alcoholic mother, Alicia, and a shifting cast of gossiping cooks and maids. When a family tragedy brings their glamorous grandmother, Eve, home from America, Jonathan and Theo are initially elated by the attention she lavishes on them. But soon it becomes clear that there is more to the Anthony family history than either Eve or Alicia will acknowledge, trapping Jonathan and Theo in a web of dark secrets that have haunted Evendon for generations. Written in luminous prose, with richly endearing characters and a profound appreciation for the rustic beauty of the Welsh countryside, The Other Half of Me is a darkly wise coming-of-age novel and a masterful portrait of a family and the burdens of the past. This reading group guide for The Other Half of Me includes an introduction, discussion questions, ideas for enhancing your book club, and a Q&A with author Morgan McCarthy. The suggested questions are intended to help your reading group find new and interesting angles and topics for your discussion. We hope that these ideas will enrich your conversation and increase your enjoyment of the book. Jonathan and Theo are as close as siblings can be, having been raised by their eccentric, powerful, and glamorous grandmother in the shadow of an alcoholic mother and a mysteriously absent father. But their bond is threatened by suspicions about the truth behind their father’s disappearance, as well as the dark pull of hidden secrets. 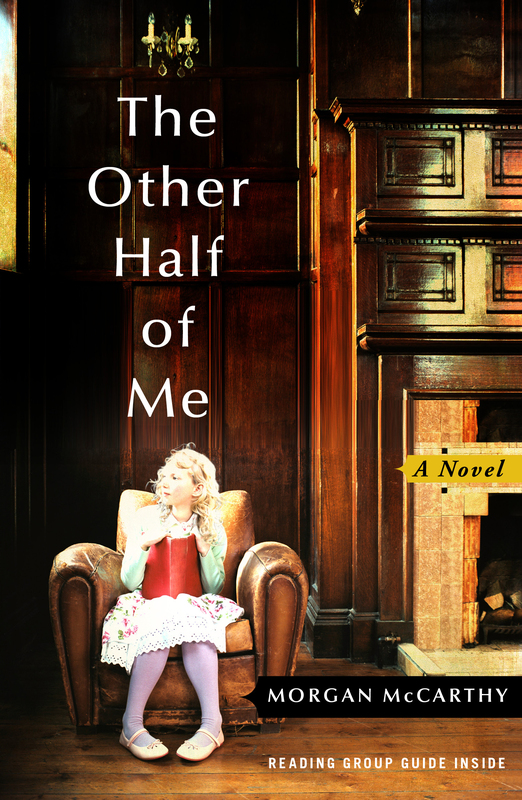 Set in the rustic Welsh countryside, The Other Half of Me is a rich, luminous debut novel that explores the bonds of family and the power the past holds over our present. 1. Early on in the novel Jonathan describes his relationship with his mother, Alicia, as distant: “she simply didn’t occupy the same emotional space as the rest of us” (p. 38). How would you describe the relationship between Alicia and Jonathan by the end of the novel? 2. The house at Evendon is treated as its own character: “—the happiness of Evendon—was delicate, a balance of things that were said and not said” (p. 53). In your opinion, what does the house represent? Conversely, each character has a unique relationship with the house. What do you think Evendon meant to Eve? to Theo? to Jonathan? 3. Eve thinks that she and Jonathan are the most alike in the family: “I saw myself in you—the way you had to learn self sufficiency so early. And since then I’ve often marveled at how alike we are” (p. 187). Do you agree? Are there any other similarities between Eve and Theo? Can you think of any other characters that act as mirrors or foils to each other? Consider Maria, Theo, and Antonia in your response. 4. After telling Jonathan about what eventually happened to his father, Eve advises: “I’ve never seen the point of brooding over one’s ‘roots.’ It’s really just a refusal to let go of what is gone. What good can the past do the living?” (p. 188). Do you agree with Eve? How does this question foreshadow what happens later in the novel? How does this question specifically impact Jonathan’s character? 5. At one point Jonathan compares his situation to a game of scissors, paper, stone: “Unless there was one for each of us; Theo the paper, Eve the scissors. I contemplated stone—the insensibility of it—solid, silent, achieving only the fact of its own stoniness. Jonathan the stone” (p. 223). Do you think Jonathan assigned the correct item to each character? Why or why not? 6. A magazine article refers to the Bennett family as cursed (p. 243). Do you think this family was indeed cursed? Or do you think that members of this family created their own problems? 7. “When I think of successful architecture I think of the row of small houses facing Llansteffan beach, vividly pastel, the ice-cream colors of the coastal sky. They are the idea of living by the sea, the small hope that comes from being at the borders of the land, and at the beginning of something else” (p. 308). Discuss the relationship between Jonathan and his career as an architect. Why do you think he is drawn to this profession? How does his idea of “successful architecture” change? 8. Jonathan has a very cold idea of love in the beginning of the story, saying, “I didn’t want love either, I didn’t want to be weighted with someone else’s needs” (p. 166). However, in his letter to Maria, he writes: “I understand love better now and it’s still yours—it always will be—if you ever want it” (p. 300). What experiences in the story changed his idea of love? Consider the evolution of Maria and Jonathan’s relationship over the course of the novel in your response. 9. Were you surprised to find that Jonathan and Maria are together in the epilogue? Discuss Eve’s relationship with the other women in this novel. Does she have any close female friends? Why do you think she behaves the way she does toward other women? 10. What do you think would have happened to these characters if Eve had told the truth about her first husband’s death instead of covering it up? What do you think would have happened to Jonathan and Theo if Michael had been granted custody of the children after the divorce? 11. Eve describes to Jonathan how she gained her independence following George and Freddie’s funerals. Do you think that any of the characters in Evendon were free while Eve was alive? Which of the characters do you think eventually found freedom? 12. From a young age Theo is terrified of the pond in the garden where her grandmother almost drowned. She often refers to a ghost lingering around the pond. How does Theo’s fear of the pond influence her eventual suicide? How do her feelings about the pond change? 13. Jonathan asks an interesting question: “Do I blame Eve for Theo’s death? I don’t know” (p. 311). What do you think? Do you blame Eve for Theo’s suicide? Do you think that there is someone else to blame? If so, who? 14. Mrs. North picks the following quote from Shakespeare for Eve’s epitaph: “Truth and Beauty buried be” (p. 265). Do you think this epitaph is fitting for Eve? Why or why not? Do you think there is some significance to the fact that Theo “had no epitaph; no last word”? 15. The title of this novel, The Other Half of Me,, references the poem Theo wrote about Jonathan: “I’ve lost my brother, he’s over the sea, / Over where I want to be. / He’s the other half of me. / Tree Bee Happily?” (p. 282). Discuss the scene in which Jonathan discovers this piece of paper in her room. Is there anything that Jonathan learns in this scene that you think surprises him? What does Jonathan ultimately lose? 16. The Other Half of Me, is predominantly told from Jonathan’s perspective. How do you think this story would have differed if Theo had been the narrator? 17. Are there any recurring themes that stood out to you as you were reading The Other Half of Me,? Consider the ruins of the pool and the prevalence of water, family dynamics, class, and the societal roles of women and men in your response. 18. The Other Half of Me, depicts different paths between secrets and freedom. Do you think it is a hopeful story? Or a cautionary tale of what can happen when a family keeps too many secrets? 1. There are beautiful descriptions of the house and grounds at Evendon. Make a sketch of the house and gardens and share with your book club what details of the house stood out in your memory. 2. “It was in the drawers by Theo’s bed that her treasure was kept” (p. 281). Theo’s “treasures” include an old pencil case, postcards, an empty blush compact, pictures, a silver necklace, beer mats, a flattened origami swan, letters, and a small statue of Ganesha. Talk about what the treasured objects in Theo’s drawer tell us about what matters most to her. Have each member in your book club bring a small box or container filled with his or her own personal treasures to your meeting. Discuss the importance of each item. What memories does each object elicit? What do the objects say about you as a person? 3. “We saw the familiar hills of Carmarthenshire through a lens of water, thinner, wiped of color”(p. 27). Carmarthen is considered to be the oldest town in Wales and is a primary setting of The Other Half of Me,. Visit www.carmarthen.info to digitally “walk” the streets of Carmarthen and to find out more about the historic town. Discuss with your group how seeing photos of the novel’s setting impacted your reading experience. Does it look like how you imagined? Quotes from F. Scott Fitzgerald, Charles Dickens, Ford Madox Ford, and Sir Walter Raleigh begin each section of The Other Half of Me,. Did you go through a lot of different quotes before selecting the four you used? How did you come to select the quotes? Do you look to any of these authors as inspiration for your own writing? The quotations were gathered while I was studying English literature at university. This was a time when I was putting together my first ideas for a novel, at the same time as reading more widely than I ever had previously. Every now and again a quotation I read really chimed with my own ideas, so I’d write it down and save it. The three novelists mentioned above are strong influences for me: Great Expectations, The Good Soldier, and The Great Gatsby all feature in one way or another a dislocation between the outward beauty and privilege of the lead characters’ lives and dreams, and their darker underlying problems. By the end of each novel the flawed central characters have soundly failed in their efforts to avoid unpalatable truths. The Other Half of Me, is a dark novel that tells of a famous family dealing with generations of lies, deceit, and cover-ups. What inspired you to write this story? The novel has changed a lot since my first conception of it, but a few elements have remained the same in every draft, ever since I first vaguely put together an idea of what I wanted to write. I’ve always wanted to carry out my own exploration of the things— money, beauty, power, status—that traditionally draw characters in and influence them for the wrong reasons. Also, the differing ways in which people are affected by a difficult childhood is very interesting to me: I wanted to show two people pushed in opposite directions by their own ways of dealing with past events. Finally, I wanted to write about a strong, manipulative, and influential character whose charisma is used to control those around her. I found these three elements fitted together so well in The Other Half of Me, that everything else almost arranged itself around them. Both Theo and Eve are strong, powerful female characters. Did you pull from anyone—either fictional or from your own life—for inspiration for their characters? Fortunately I don’t know anybody who “is” Eve. Theo has been partly influenced by my own relationship with my sister and our own nonsense jokes. Unfortunately, in Theo’s case, Jonathan doesn’t play along with her, and her efforts to engage him usually fall flat. The development of Theo was also influenced by my memories of my uncle, who suffered from schizophrenia. All my characters have something in common with me—even if it’s only something small. Without that element of common ground I’m not sure I’d be able to inhabit them very well. You describe the house at Evendon in such vivid detail. Did you have a specific house in mind when you were writing this novel, or was it a fictitious house that exists only in your imagination? The house internally is a composite of places I’ve seen or imagined. Its exterior is inspired by a picture I saw and loved in a book about historic houses when I was a teenager. Unfortunately I can’t remember what the book was or the name of the house! I’d like to see it again, particularly as I’m sure my memory has altered it over time. Jonathan is a complex character—he is charming, difficult, removed, and sympathetic all at the same time. Why did you choose to tell the story from his perspective? Do you personally like Jonathan? There are several reasons I placed Jonathan at the center. One reason was that he is the character farthest from me—both in terms of gender and outlook—and he could also be in danger of becoming the character who is farthest from the reader. Seen from an outside perspective, he could seem simply cold and pigheaded. I didn’t want him to suffer this fate. And yes, I do like Jonathan, even when he is at his most frustrating! There are two heartbreaking deaths in this novel that leave Jonathan forever changed. Did you always know these characters would die? Did you have any alternate scenarios or endings? The deaths were decided before I began the novel—being necessary elements of the story—and I’m afraid there were no other options for these characters. They were doomed from the start. Did you do any research on mental illness or schizophrenia in order to come up with pieces of Theo’s character? As I said above, I have a little experience of the illness, and I filled in the blanks with research. Having said that, it was important to me that Theo not be a stereotypical sufferer of the illness, which takes differing courses depending on the person affected. Tell us about your relationship with Llansteffan and Carmarthen. Why did you choose this area of Wales as the main setting of the novel? Evendon, in my conception of it, is located somewhere between the town of Carmarthen and the village of Llansteffan. My aunt lives in this area and I have memories of several happy summers spent visiting her. The area is very rural and beautiful, and there is also the interesting divide between the English and Welsh in evidence, which I wanted to include in a novel as soon as I saw it. At one time you worked in a small independent bookstore. How do you think that experience has shaped you as a writer and a reader? I loved reading long before I worked at the bookshop, so I wouldn’t say that it gave me any more impetus to read. I’d like to say I found it inspiring as a writer, but at the time I was a teenager, and I spent most of my shifts gossiping with the other girls who worked there and eating biscuits. Later, when I worked at a chain bookseller, the store was so busy that there was no time for chatting to customers about books or discovering new fiction. My progress as a writer actually happened when I was working a quiet shift at a supermarket during university, and later, at a department store, both of which allowed me plenty of time to think about my planned novel and write my ideas down on till roll. I used to come home with my pockets full of these ideas. Was it difficult to leave behind the characters of Jonathan and Maria? Will they appear again in another novel? What do you plan on working on next? It wasn’t hard to leave the characters behind as I felt like they were doing fine without me. Plus, by the time I finished The Other Half of Me, I’d already started a second novel, and I was very involved with the new project. I’m finishing that novel now. I see it as a companion piece to The Other Half of Me, with no characters in common, but similarities of theme. For me it addresses the other side of several issues raised in TOHOM. I suppose it’s the other half of The Other Half of Me. Morgan McCarthy was born in Berkshire, UK, where she still lives. 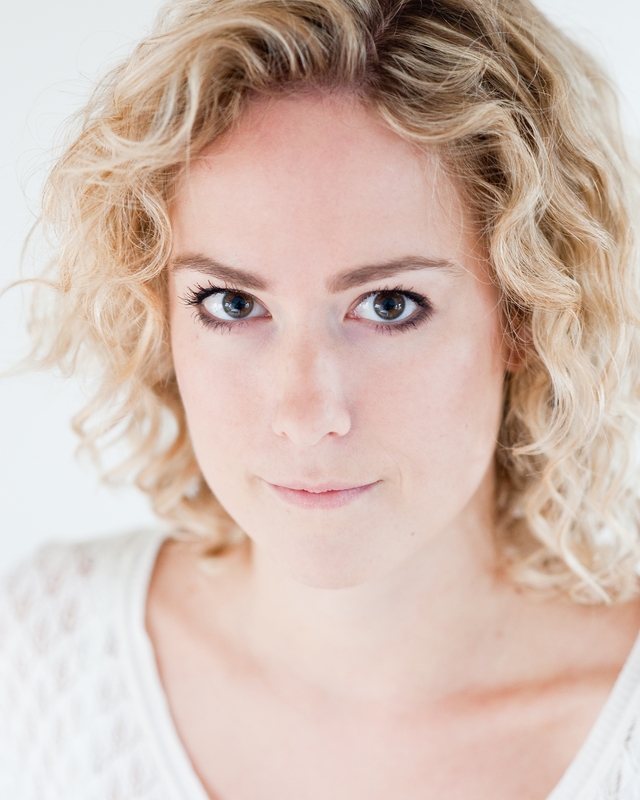 She has worked in a supermarket, a small independent bookstore, and, most recently, as a media analyst. "McCarthy’s alluring, stunning debut will box her readers into an impossible corner—either to race through to see what happens next or to slow down and savor language that is mesmerizing in its evocative powers." "A beautiful, brooding novel of siblings growing up half-wild in a grand Welsh manor house… Darkly lush, filled with an irresistibly sad glamour, this is a memorable debut."